The museum was designed by Le Corbusier and is usually relies on the subject of art, history, craft, literature and architecture. The idea was to bring all the elements together to conjure a picture of authentic Gujarati culture. Divided into various sections, its most liked attraction are the one which is dedicated to religious communities, Gandhi and his endeavour to bring independence in the city. It has an excellent collection of photographs and works of varied prominent artists of Gujarat, which, by the way, is must see. The place is nestled in the Sanskar Kendra and easily accessible given its ideal location of the city centre. How popular is City Museum? People normally club together Nc Mehta Gallery and Conflictorium while planning their visit to City Museum. People also prefer to start their day with City Museum. It's a marvellous structure designed by the famous architect Le Corbusier. The use of courtyard to bring in light, the ramp leading to the first level, the city museum at the first level, the kite museum at the ground level, all are good case study examples for an architecture student. It is one of the tourist attractions of the city. Very interesting place right next to the Sabarmati river. It's a cultural centre and an auditorium that enhances your overall experience. 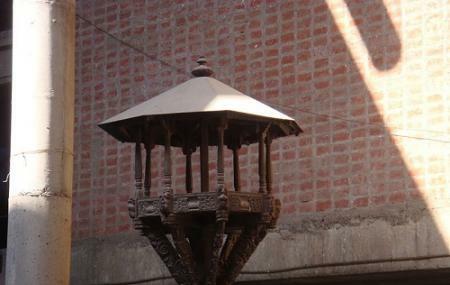 Sanskar Kendra is Ahmedabad's one of the best space for cultural events. It is located at prime location on the bank of river Sabarmati. It has various rooms and exhibition centre best suited for any kind of culture event and exhibition. This is a really good place to know about the history of the Ahmedabad. But, to cover whole museum you need more time like 2-3 hours atleast. Striking modernist edifice, designed by Le Corbusier, housing museums devoted to Ahmedabad & kites, it shows the development of gujrat.